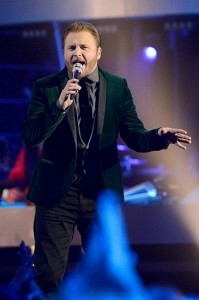 On Thursday night, Ben Briley became the first male contestant eliminated from American Idol season XIII. Briley said his song choice (Elton John’s “Benny and the Jets”), which broke away from his traditional country performances and spotlighted his piano skills, was probably the reason he was eliminated. While it disappointed him, he wasn’t shocked, though he did feel “thrown under the bus” by the judges, who originally encouraged him to step outside of his comfort zone and do something different. Choosing a more rock-style song was Briley’s way of showing his diversity. While he loves country and wants to make his career in the genre, he also has strong appreciation for rock and other music styles. He wanted to bring a new angle of himself to the stage, and show off his piano skills. Despite getting the boot, Briley enjoyed his time on idol. The Tennessee-native said he learned a lot about himself. From his first performance onstage to running past cheering fans in the tunnel, Briley said it was an exciting experience. “During the audition when I went to Hollywood, i didn’t think i would get to go, but then they wanted me there. That gave me ambition and drive to do well in the show,” Briley said. Working with the judges, including sessions with Randy Jackson, help Briley improve his singing. He said he has gained a lot musically from his time on Idol. Living close to Nashville, Briley said he hopes to play in the “music city,” and make some music. But for now, it’s time to relax and take it easy, as he returns to his wife, and hometown.